I was one of several fortunate FRSFleet Replacement Squadron. aka RAG. 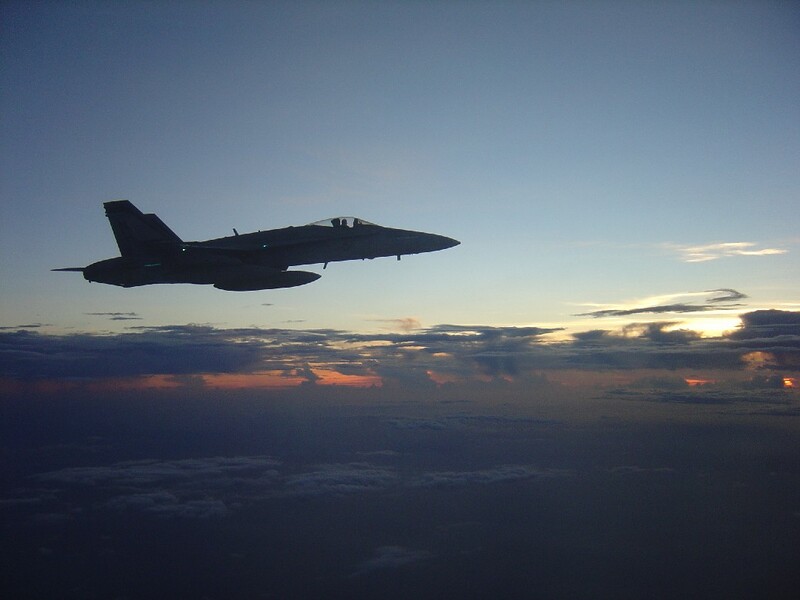 A US Navy training squadron that prepares pilots for operational service in fleet-specific aircraft. students to head to NAF El Centro, CA in the summer of 2006 for my strike detachment to learn how to bomb. El Centro, while hot (meaning high density altitude) routinely boasted no clouds and beautiful terrain for flying. My hiatus from aviation during graduate school in Monterey, California had made me completely incompatible with the desert clime. My respect for our Marine brethren in Yuma, AZ quadrupled as I burned my fingers during every start, from APUAuxiliary Power Unit. A small jet engine used to provide aircraft systems power (hydraulic, electrical, etc.). spool-up until both engines came online. The last time I had dealt with this kind of weather was in the Arabian Gulf in 2002, with the S-3B Viking’s TF-34 engines. In that platform, I had a true respect for the old “hot and heavy” situation which tests a pilot’s skills. 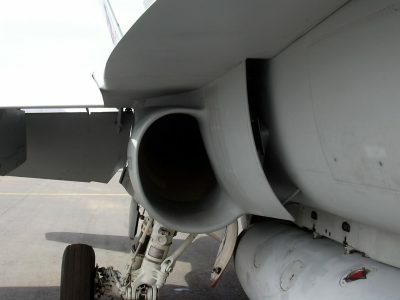 Although the VFA-106 instructors had thoroughly briefed me on engine performance degradation, and I had calculated takeoff performance data, I honestly thought the Hornet always would have excess thrust available. 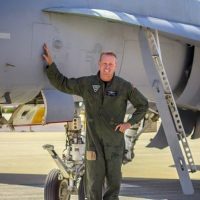 With a configuration of single centerline fuel tank and a few Mk 76 practice bombs, I assumed the aircraft would always have an abundance of thrust available so that my skills would not be tested—mistake #1. 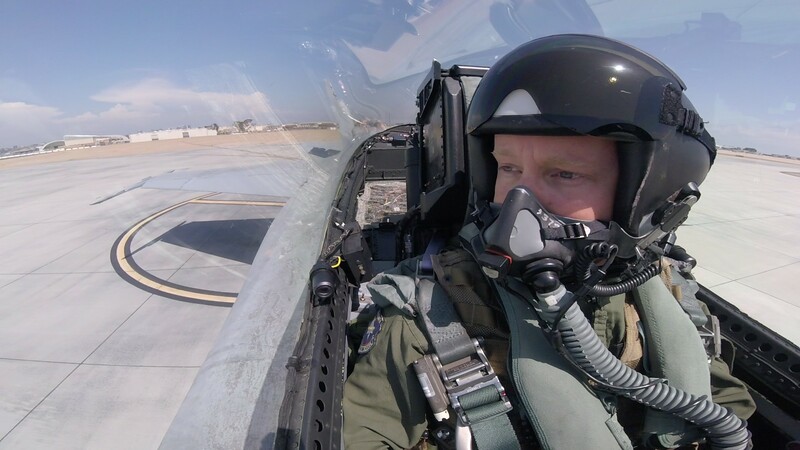 So, there I was, waiting at the hold short with my lead–an exchange pilot from the UK–just moments from taking off for the practice bombing ranges. Like a good student, I rehearsed the mission and “switchology” in my mind. Due to the short transit, I knew it would be fast and furious once airborne. I had always thought of takeoff and rendezvous as quite mechanical and did not give much thought during my chair flying—mistake #2. As my stem power invited a few more neurons to play, I realized I was flying over farms and buildings. I saw an open patch of desert at my one o’clock position and not terribly far. I decided to hold the jettison until that point so I wouldn’t ruin the day of anyone underneath my limping jet. Fleeting ideas of possible ejection caused me to straighten up in the seat and reassess the populated areas if the external jettison did not make a difference aerodynamically. As I wrestled with the plane for a few more excruciating seconds and said a prayer, from out of one of the darkest, dustiest corners in my mind the old Viking procedure for emergency takeoff came forth: I decided I could reduce parasitic drag a little by retracting the landing gear. Without a second thought, my left hand complied, and up came the gear. This was a small miracle as the hydraulics for gear retraction were only powered by the right engine… the failing engine. As the gear indicator lights extinguished, the airspeed crept up a few knots to a much more comfortable 165 knots. I now felt confident raising the nose a few degrees and started a gentle climb at about 162 knots with both throttles still in A/B. I prayed aloud again. Passing 2,000 feet, I did my best impersonation of a cool, calm, and collected pilot and told tower of my emergency. I then asked for an emergency orbit pattern at 7,000 feet. I finally brought the right throttle back to flight idle and the instruments depicted the engine safely stable. The left throttle remained in A/B while I explained the situation to my lead. He immediately rejoined in loose cruise formation, and we went through the emergency procedures several times to ensure accuracy. I cracked a smile as he transmitted, “Let me know if you have to step out of the jet at any moment.” Only a Brit would use such a genteel expression to describe such a violent and undesirable act. Once established at 7,000 feet, my next order of business was to set up for a short-field field arrested landing. Because I did not jettison the external tank, I had to dump a lot of gas to get down to landing weight. Unfortunately, I had to keep the left engine in A/B to maintain altitude, which brought me to my next dilemma: should I be dumping fuel from the mast dump which seemed only eight to 10 feet above my staged A/B? My fearless lead’s response was something along the lines of “I’m not quite sure, but I will move farther away.” Gee…thanks a pant-load,” I thought. 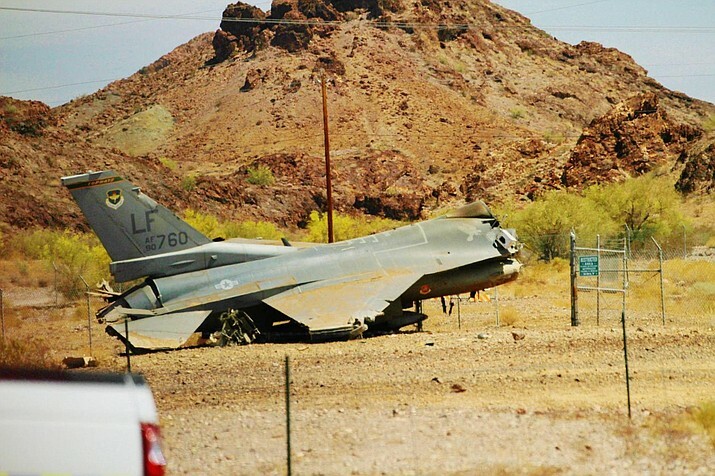 It rained JP-5 in the desert that day and I subsequently took an uneventful trap on the duty runway. On deck, the right engine started making a horrible crunching sound, so I immediately shut it down. After an initial inspection later, the maintainers determined my right nose gear bearings had failed catastrophically, sending shards of metal and ball bearings down the right engine. The BBs bounced fore and aft like pinballs between the compressor and turbine stages, robbing the engine of many blades before exiting. The nose gear hub had fused to the strut and the tire was gone. Peering into the intake, I could see daylight through the right engine–needles-to-say, this is not normal. 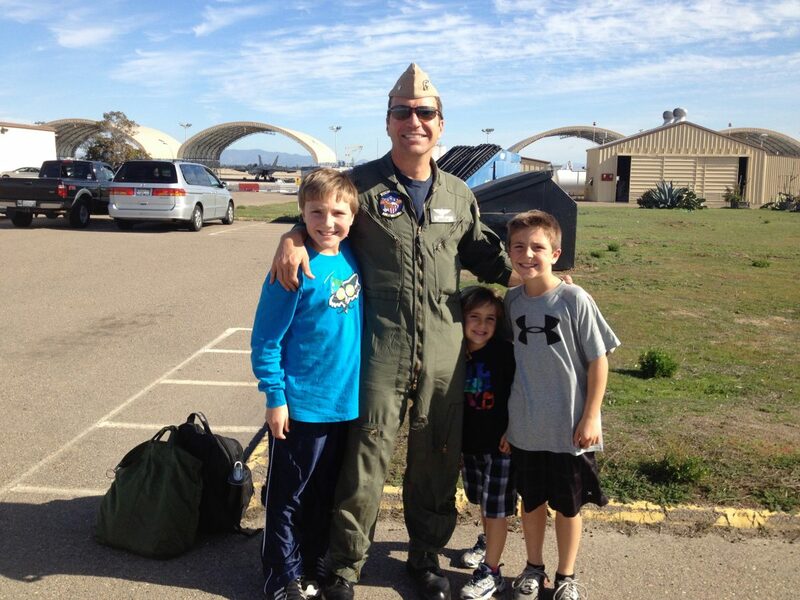 I had clobbered the active duty runway for about 30 minutes until they could properly tow me away—mistake #3. I was impressed with the GE engine and how much abuse it could take and still run… at least enough to power the hydraulics to retract the landing gear. Never before had I seen an engine so completely destroyed and still be able to run at flight idle. More importantly, I learned that single-engine flight, in even the mightiest of aircraft, can really test a pilot quickly and consequentially. Each phase of flight must be considered carefully during a preflight. Seemingly mundane take-offs can quickly become the most difficult part of a flight. Airport surroundings (farms, buildings, etc) also must play into the decision matrix when executing emergency procedures and can dramatically alter strategies. These factors should be addressed in the briefing space at 1G and 0 knots. I also learned that our NATOPSNaval Aviation and Training Operations Procedures Standardization (*phew*). Flight and operating instructions and procedures applicable to the operation of all US naval aircraft and related aviation activities. flight manual does not recommend dumping while in A/B, for obvious reasons. I chalk that one up to divine intervention. If I had more wherewithal, I could have comfortably burned circles in the sky and invited the squadronAn aviation organization composed of aircrew, support personnel, aircraft, and equipment. duty officer into my cockpit and my emergency via the radio. He could have easily double-checked NATOPS procedures. Since then, I took a small portion of my pay and invested in GE stock. I figured, hey, they earned it with their F404 engine design!